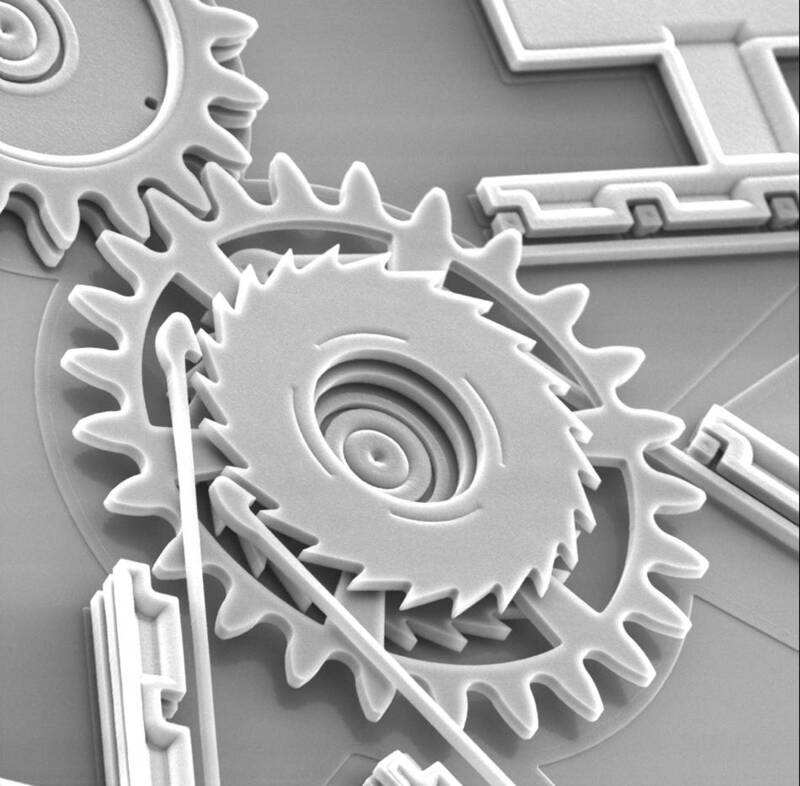 Micro-Electro-Mechanical Systems (MEMS) is the integration of mechanical elements, sensors, actuators, and electronics on a common silicon substrate through microfabrication technology. 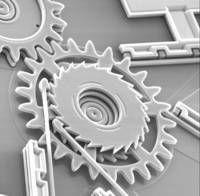 While the electronics are fabricated using integrated circuit (IC) process sequences (e.g., CMOS, Bipolar, or BICMOS processes), the micromechanical components are fabricated using compatible "micromachining" processes that selectively etch away parts of the silicon wafer or add new structural layers to form the mechanical and electromechanical devices. MEMS promises to revolutionize nearly every product category by bringing together silicon-based microelectronics with micromachining technology, making possible the realization of complete systems-on-a-chip. MEMS is an enabling technology allowing the development of smart products, augmenting the computational ability of microelectronics with the perception and control capabilities of microsensors and microactuators and expanding the space of possible designs and applications. Microelectronic integrated circuits can be thought of as the "brains" of a system and MEMS augments this decision-making capability with "eyes" and "arms", to allow microsystems to sense and control the environment. Sensors gather information from the environment through measuring mechanical, thermal, biological, chemical, optical, and magnetic phenomena. The electronics then process the information derived from the sensors and through some decision making capability direct the actuators to respond by moving, positioning, regulating, pumping, and filtering, thereby controlling the environment for some desired outcome or purpose. Because MEMS devices are manufactured using batch fabrication techniques similar to those used for integrated circuits, unprecedented levels of functionality, reliability, and sophistication can be placed on a small silicon chip at a relatively low cost. MEMS Investor Journal and MEPTEC, the MicroElectronics Packaging and Test Engineering Council, will hold the 1st Annual Workshop on Micro Power Technologies on October 22, 2009 at the Radisson Hotel, San Jose, CA. Space is limited -- register today! Please go to http://www.micropowertech2009.com for complete program details, presentation abstracts, speaker bios and registration information. Sponsorship opportunities are also available; please click here for information. On the prior day, October 21, MEPTEC and MEMS Investor Journal will hold another event, the 2nd Annual Workshop on MEMS Testing and Reliability. MEMS and Nanotechnology is enabling new discoveries in science and engineering such as the Polymerase Chain Reaction (PCR) microsystems for DNA amplification and identification, micromachined Scanning Tunneling Microscopes (STMs), biochips for detection of hazardous chemical and biological agents, and microsystems for high-throughput drug screening and selection. High frequency circuits will benefit considerably from the advent of the RF-MEMS technology. Electrical components such as inductors and tunable capacitors can be improved significantly compared to their integrated counterparts if they are made using MEMS and Nanotechnology. With the integration of such components, the performance of communication circuits will improve, while the total circuit area, power consumption and cost will be reduced. In addition, the mechanical switch, as developed by several research groups, is a key component with huge potential in various microwave circuits. The demonstrated samples of mechanical switches have quality factors much higher than anything previously available. Reliability and packaging of RF-MEMS components seem to be the two critical issues that need to be solved before they receive wider acceptance by the market. MEMS accelerometers are quickly replacing conventional accelerometers for crash air-bag deployment systems in automobiles. The conventional approach uses several bulky accelerometers made of discrete components mounted in the front of the car with separate electronics near the air-bag; this approach costs over $50 per automobile. MEMS and Nanotechnology has made it possible to integrate the accelerometer and electronics onto a single silicon chip at a cost between $5 to $10. These MEMS accelerometers are much smaller, more functional, lighter, more reliable, and are produced for a fraction of the cost of the conventional macroscale accelerometer elements.